It’s the first day of editing for the film she’s featured in and producing, and Megan Densmore is choked up. Her passion for change in the fibromyalgia community is clear in her voice, strong between cracks of emotion. For many years Densmore kept her fibromyalgia hidden — she was “passing as fine” to the people around her, she says. But, growing tired of being “the only unicorn in the room,” she decided chronic, invisible illnesses like hers needed to be talked about. “I wasn’t involved in the fibro community, and I still kind of struggle to be,” Densmore explains. So Densmore and a small team of filmmakers, including director Nick Demos, set out to tell the stories of people living with fibromyalgia — aptly named Invisible. “[We wanted to] bring visibility to something that is seemingly invisible to the rest of the world,” Demos says. For both Densmore and Demos, it’s a cause that’s close to their hearts. Densmore was diagnosed with fibromyalgia at the age of 13, right at the time in her life when she should have been excelling in the athletics she loved so much. She was sent to a rheumatologist after coaches grew concerned about her worsening ability and received a conclusive diagnosis. The doctor prescribed her with a couple of medications and matter-of-factly told her she would be in pain for the rest of her life. “To which I probably responded with, ‘F you! That’s not the way my life is gonna go,’ ” Densmore laughs. For Demos, it was his mother’s fibromyalgia and his own concerns and questions over developing the condition that piqued his interest in Invisible. “Questions always lead to, ‘I have to do something about this,’ ” he explains. #WCW‬ this week goes to our two amazing producers Pallavi Sastry and MeganMasterFit! Here they are wearing our awesome t-shirts which brings us to a huge new ‪#‎InvisibleFilm‬ development: T-Shirts! From now until September 16th, if you buy an #InvisibleFilm ‪#‎Tshirt‬, you can have the chance of winning a free coaching session with renowned Fibromyalgia Coach, Tami Stackelhouse! And for everyone who buys a shirt, you can get a credit in the film! Click the link in our bio, and don’t wait, this deal ends in one month! Despite their ties to fibromyalgia, even Demos and Densmore had a lot to take away from the year they followed their subjects. She didn’t speak of her fibro to anyone but his father. Once he realized his mom’s fibro was so disabling she had to stop working, he began to gain understanding of just how serious the illness’ grasp can be. And his understanding has only grown since starting work on the film. 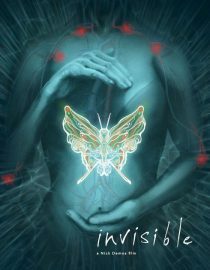 For Densmore, Invisible has brought her new sense of connectedness to the fibro community — something she hadn’t experienced previously. “I haven’t been really involved because I was living in the closet for so long,” she says. Next page: a unified community.